YOU CAN DESIGN CARS LIKE THIS! LEARN AT HOME Here is an unlimited opportunity for automobile enthusiasts of any age — an open door to a bright future as a designer. 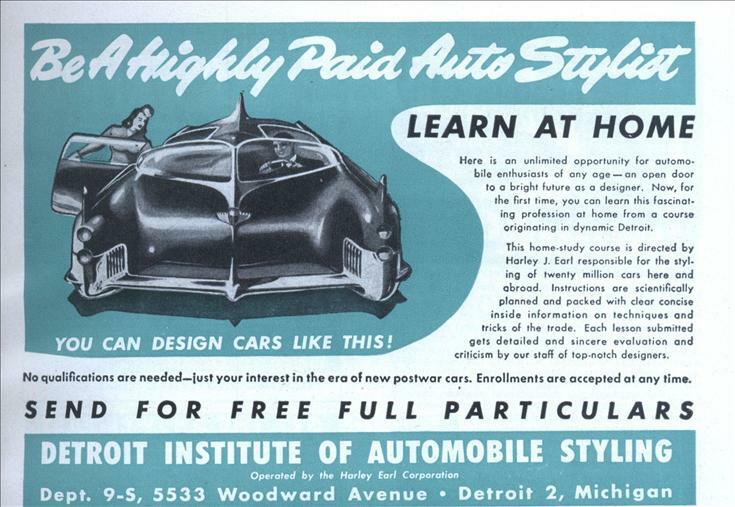 Now, for the first time, you can learn this fascinating profession at home from a course originating in dynamic Detroit. 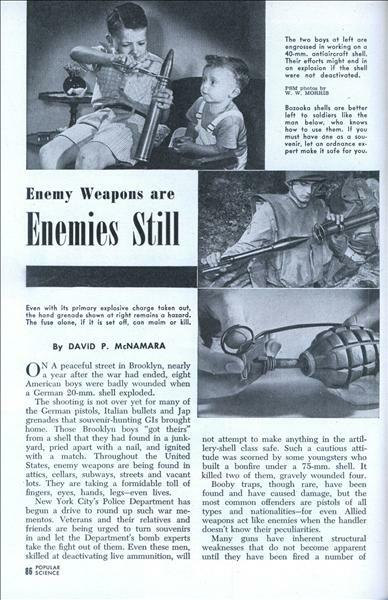 By DAVID P. McNAMARA ON A peaceful street in Brooklyn, nearly a year after the war had ended, eight American boys were badly wounded when a German 20-mm. shell exploded. 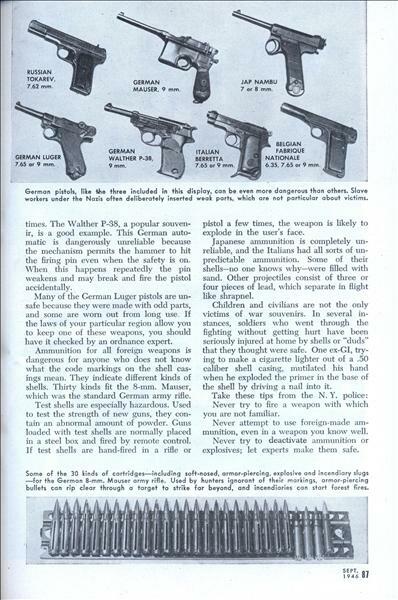 The shooting is not over yet for many of the German pistols, Italian bullets and Jap grenades that souvenir-hunting GIs brought home. Those Brooklyn boys "got theirs" from a shell that they had found in a junkyard, pried apart with a nail, and ignited with a match. Given an initial shove, "Slinky" eerily and deliberately flip-flops end over end down a flight of steps. 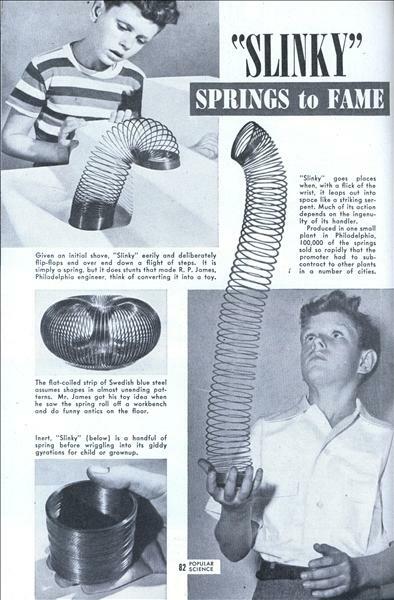 It is simply a spring, but it does stunts that made R. P. James, Philadelphia engineer, think of converting it into a toy. The flat-coiled strip of Swedish blue steel assumes shapes in almost unending patterns. Mr. James got his toy idea when he saw the spring roll off a workbench and do funny antics on the floor. WHO won the war is already an old argument. But certainly science, forging the final weapon, stopped the war. Yet, a year later, science is still literally a prisoner of war. When science was mobilized, the military services quite properly invaded the universities. They had to halt the basic research. They put the men and machines of science to work on the pressing necessities that mothered radar, sonar, loran, and a thousand other urgent applications of that basic research. 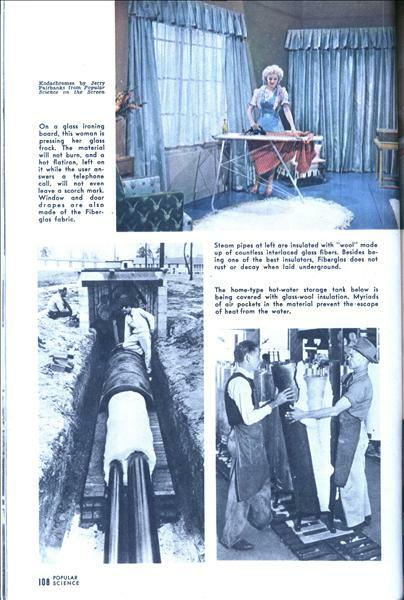 The scientists did their work well, including the actual manufacture of such things as the rockets and the trained atoms. 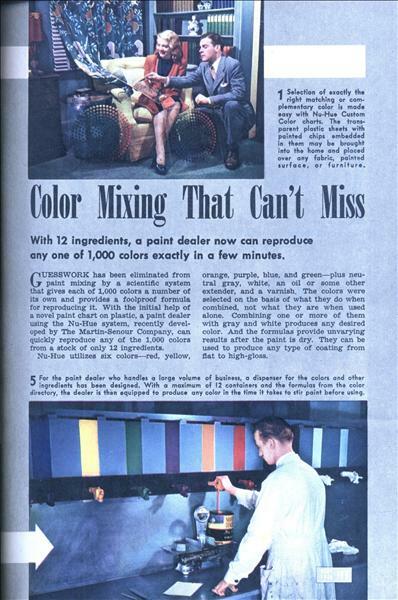 With 12 ingredients, a paint dealer now can reproduce any one of 1,000 colors exactly in a few minutes. 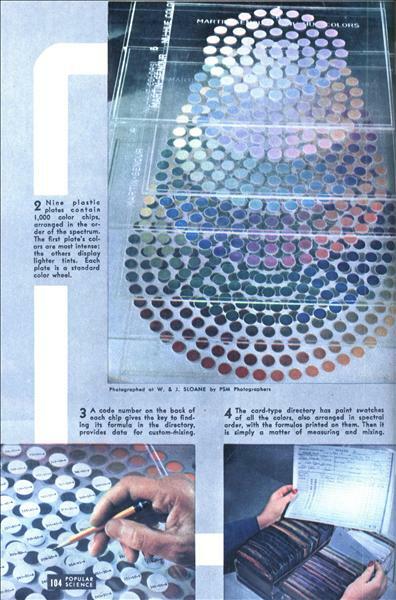 GUESSWORK has been eliminated from paint mixing by a scientific system that gives each of 1,000 colors a number of its own and provides a foolproof formula for reproducing it. With the initial help of a novel paint chart on plastic, a paint dealer using the Nu-Hue system, recently developed by The Martin-Senour Company, can quickly reproduce any of the 1,000 colors from a stock of only 12 ingredients. Wherever he goes he is welcome. His satisfactions in life are reflected in the smiling faces of youngsters like this one below, and of countless others whom he has long attended. 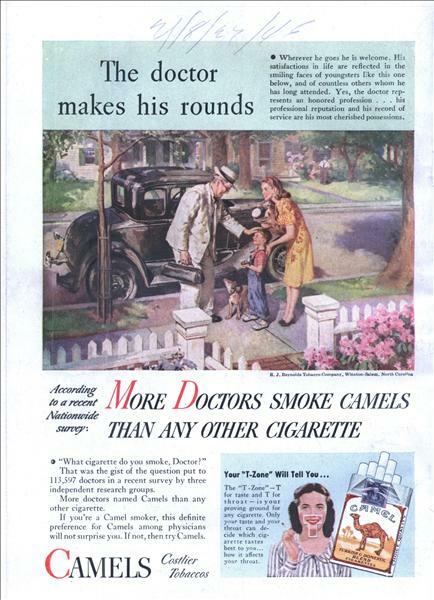 Yes, the doctor represents an honored profession ... his professional reputation and his record of service are his most cherished possessions. FLIES AERONCA TODAY. BACK HOME TONIGHT! 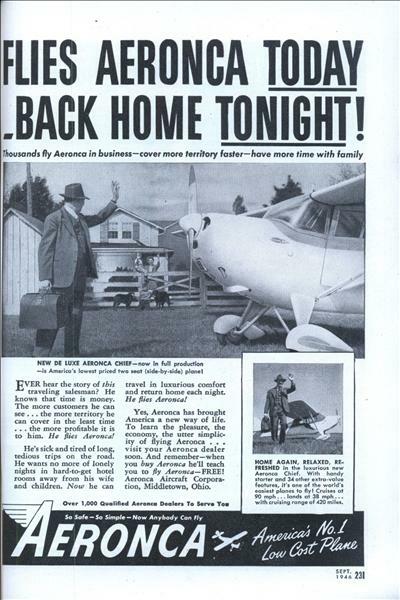 Thousands fly Aeronca in business—cover more territory faster—have more time with family EVER hear the story of this traveling salesman? He knows that time is money. The more customers he can see... the more territory he can cover in the least time... the more profitable it is to him. He flies Aeronca! He's sick and tired of long, tedious trips on the road. He wants no more of lonely nights in hard-to-get hotel rooms away from his wife and children. Now he can travel in luxurious comfort and return home each night. He flies Aeronca! 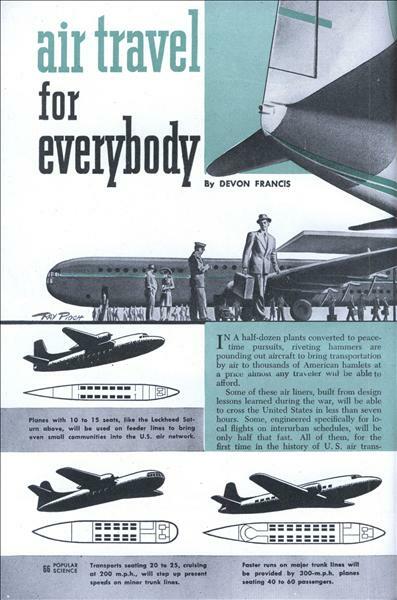 By DEVON FRANCIS IN A half-dozen plants converted to peacetime pursuits, riveting hammers are pounding out aircraft to bring transportation by air to thousands of American hamlets at a price almost any traveler will be able to afford. 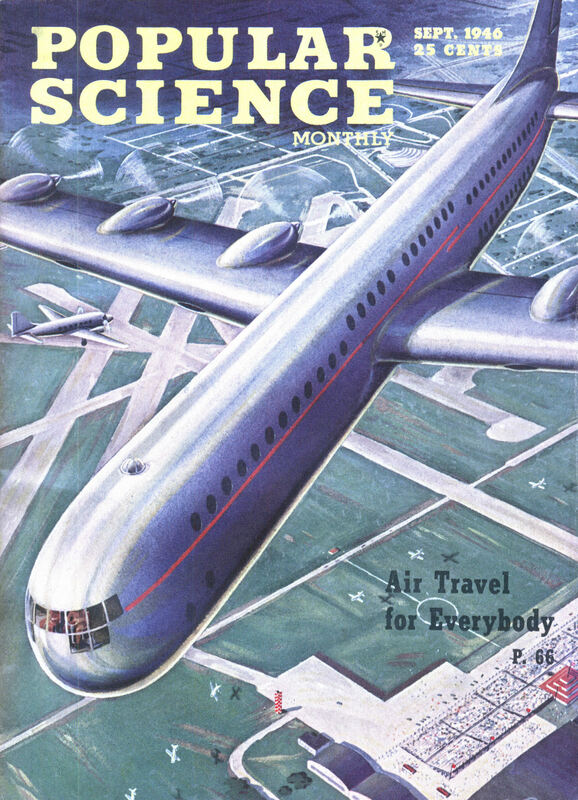 Some of these air liners, built from design lessons learned during the war, will be able to cross the United States in less than seven hours. Some, engineered specifically for local flights on interurban schedules, will be only half that fast. 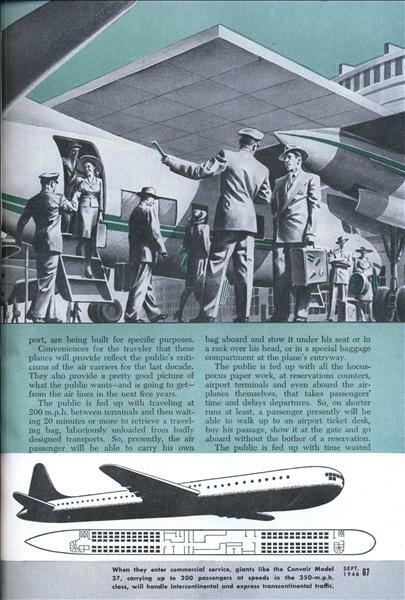 All of them, for the first time in the history of the U.S. air transport , are being built for specific purposes. 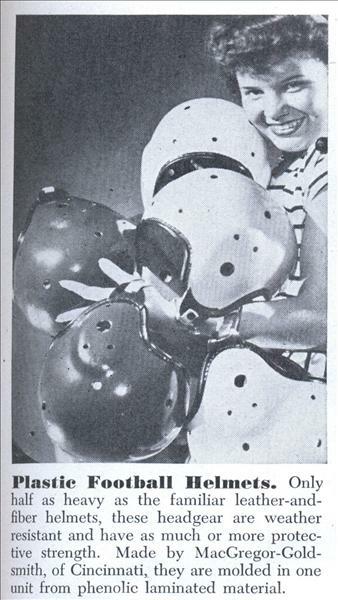 Plastic Football Helmets. Only half as heavy as the familiar leather-and-fiber helmets, these headgear are weather resistant and have as much or more protective strength. 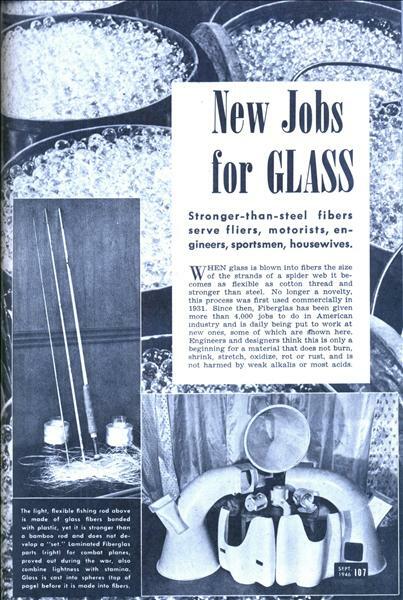 Made by MacGregor-Gold-smith, of Cincinnati, they are molded in one unit from phenolic laminated material. How the busy family of vacuum tubes serves industry as valves, triggers and throttles of electric power. By WILLIAM P. VOGEL, JR. WHEN you snap your radio on; when you cross the path of an electric eye and untended doors jerk open to let you pass; when you hear your train called with strident clarity above the clamor of a vast terminal, electrons have been put to work. 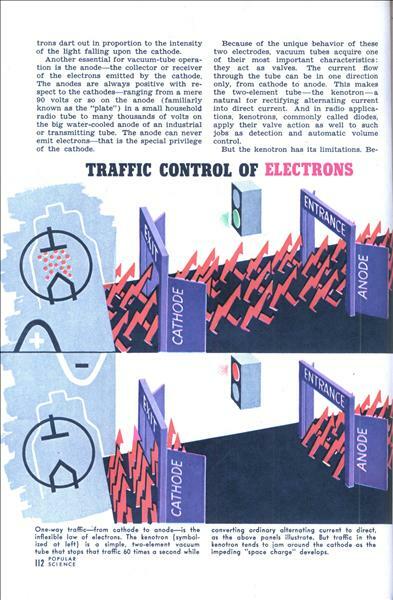 Electrons are controlled by vacuum tubes. 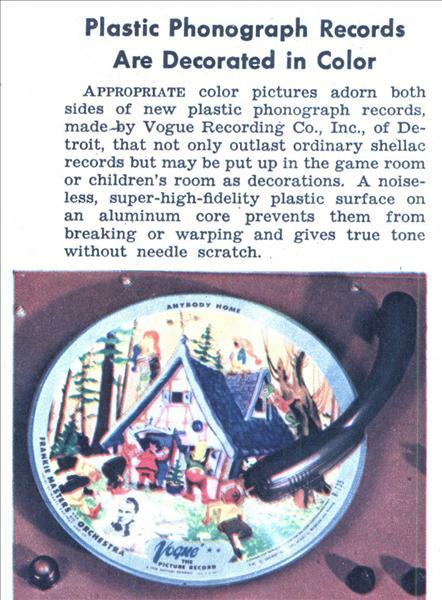 And vacuum tubes in the last 15 years have gone far afield from their original uses in communications to become the valves, triggers, and throttles of modern industry. 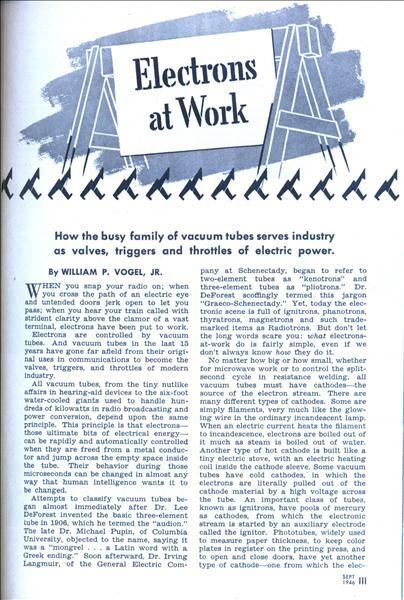 All vacuum tubes, from the tiny nutlike affairs in hearing-aid devices to the six-foot water-cooled giants used to handle hundreds of kilowatts in radio broadcasting and power conversion, depend upon the same principle. This principle is that electrons— those ultimate bits of electrical energy— can be rapidly and automatically controlled when they are freed from a metal conductor and jump across the empty space inside the tube. Their behavior during those microseconds can be changed in almost any way that human intelligence wants it to be changed.